The Kelowna Rockets scored five third-period goals en route to an 8-4 win over the Winterhawks in game 6 of their Western Conference final playoff series. With the win, the Rockets have won the series, 4-2, and ended the Hawks season. Click for the game 6 recap. Click for the game 6 boxscore. 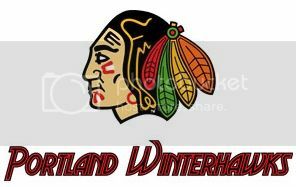 This thread will be updated with results and new series schedules should the Winterhawks advance. Click for a review and results of the Winterhawks' regular season schedule. they started out the season so slow. glad to see them back in the playoffs! You might wanna change the header. The game that the Hawks won tonight was only 1 OT, not 2.
well, that result sucked. the Hawks had another great season though.